Why did Neanderthals use the teeth as a third hand? Neanderthals used the teeth as a third hand. There are evidences. Why did they do it? “Perhaps it is related to a limitation of Neanderthals for coordinate brain-eye-hand”, affirms Marina Lozano, IPHES (Institut Català de Paleoecologia Humana i Evolució Social) researcher. This would be a possibility, but today there isn’t a clear answer. 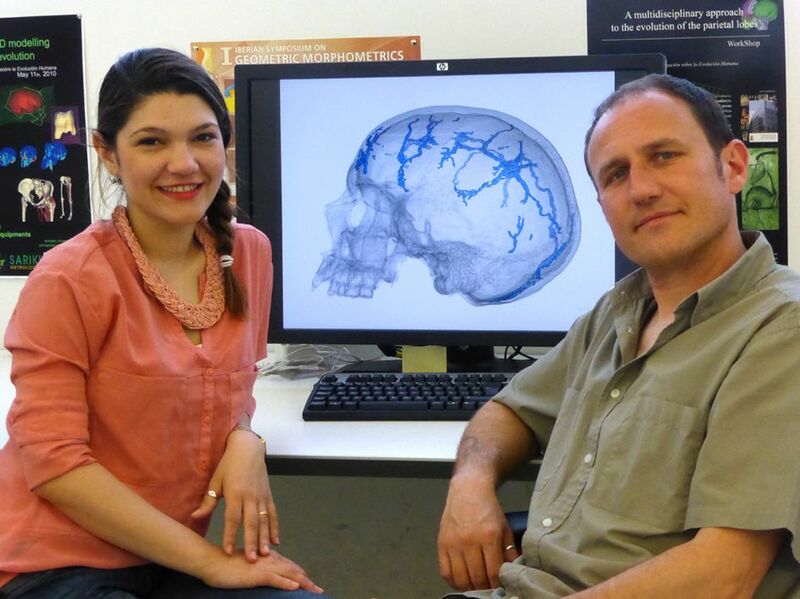 For this reason, Marina Lozano and Emiliano Bruner (responsible of the Group of Paleoneurology at the Centro Nacional de Investigación sobre Evolución Humana – CENIEH) has opened a forum to know if this has been determined by different visuospatial capacities between Neanderthals and Homo sapiens. The discussion is doing in the Journal of Anthropological Sciences. Specifically, it is the second part of a series of scientific comments about a few possible limitations in the integration between brain, body and material culture in the Neanderthals. They invited several researchers: Karenleigh Overmann (University of Colorado), Enza Spinapolice (University of Cambridge), Joseba River Garaizar (CENIEH), Ariane Burke (University of Montreal), Carlos Lorenzo (IPHES) and Duilio Garofoli (University of Tübingen) so that they will contribute with its vision to resolve the problem from its specializations. 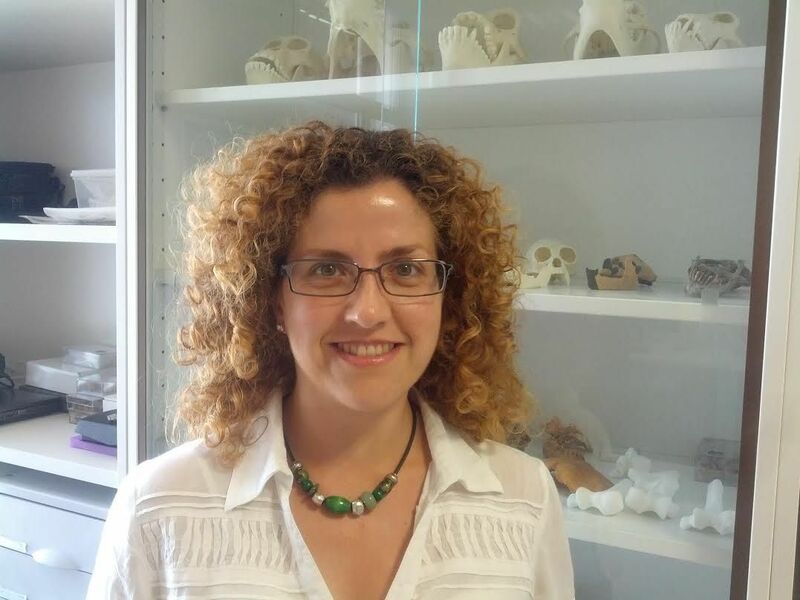 “It is one of the few cases in the study of the human evolution with several possibilities about the same hypothesis: spatial archaeology, cerebral anatomy, dental wear, anatomy of the hand, etc”, observes Marina Lozano. Apparently, from the point of view of the material culture, Neanderthals had a complex cultural system. Also they controlled their territory with great efficiency. 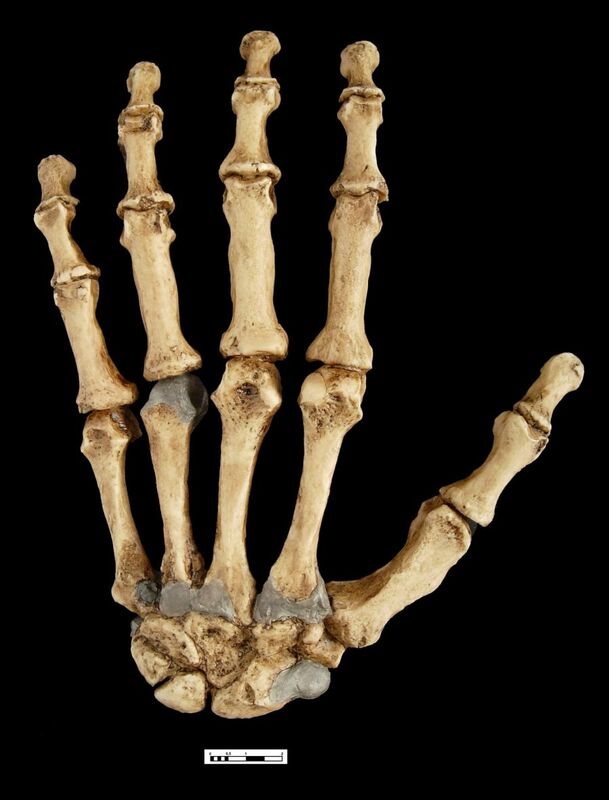 “Their hands had some small anatomical differences, but they hadn’t any functional limitation to realize the same tasks or movements that the sapiens”, said Carlos Lorenzo. Emiliano Bruner and Marina Lozano considered that this could have been a consequence of a less specialized capacity of integration between eye and hand, and between brain and object than other species, and they would compensate this with the help of the mouth. But, “in fact, the answer remains open since there are no clear evidence to stablish the cause of this generalized habit (third hand) among Neanderthals and much less frequent in our species”, affirms Marina Lozano. 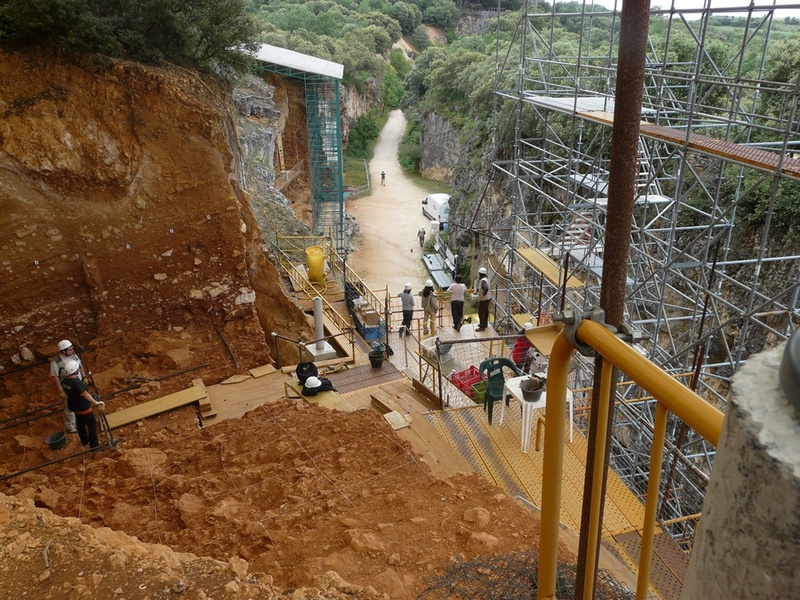 Most of the researchers who excavate in the Atapuerca sites come from different research centers belonging to the Atapuerca Project: Universidad de Burgos (UBU), Centro Nacional de Investigación sobre la Evolución Humana de Burgos (CENIEH), Institut Català de Paleoecologia Humana i Evolució Social (IPHES – Tarragona), Centro de Evolución y Comportamiento Humanos (Universidad Complutense de Madrid – ISCIII) and Universidad de Zaragoza (UNIZAR). Furthermore, there are participants coming from other universities and national and international research centers. Until the next June 19 is opened the pre-enrolment of the Master’s degree in Quaternary Archaeology and Human Evolution (Erasmus Mundus) for the course 2015-16 at the University Rovira i Virgili of Tarragona (URV). This master is possible thanks to the research of the first level that is realized at IPHES (Institut Català of Paleoecologia Humana i Evolució Social). Recently, the master has been credited with the excellence mention from the Agency of Quality of Catalunya (AQU), being the only master of the URV with this distinction. This master is offered from the course 2004-2005 together with other European institutions: Università degli Studi di Ferrara (Italy), Muséum National d’Histoire Naturelle (Paris, France), Instituto Politécnico de Tomar and Universidade de Trás-os-Montes e Alto Douro (Portugal). Since the beginning, in the URV each course about 15 new students have started this master. They come from all regions of Spain and from different countries, including Italy, Portugal, Algeria, Cuba, Venezuela, India, Morocco, Ethiopia, Eritrea, China, Indonesia, Armenia, Chile, Argentina, Georgia and Mexico. Carlos Lorenzo, coordinator of this master emphasizes the quality of this academic offer, recognized by different institutions: “The Erasmus Mundus distinction from the European Union implies an international collaboration and to overcome a very rigorous selection process”. 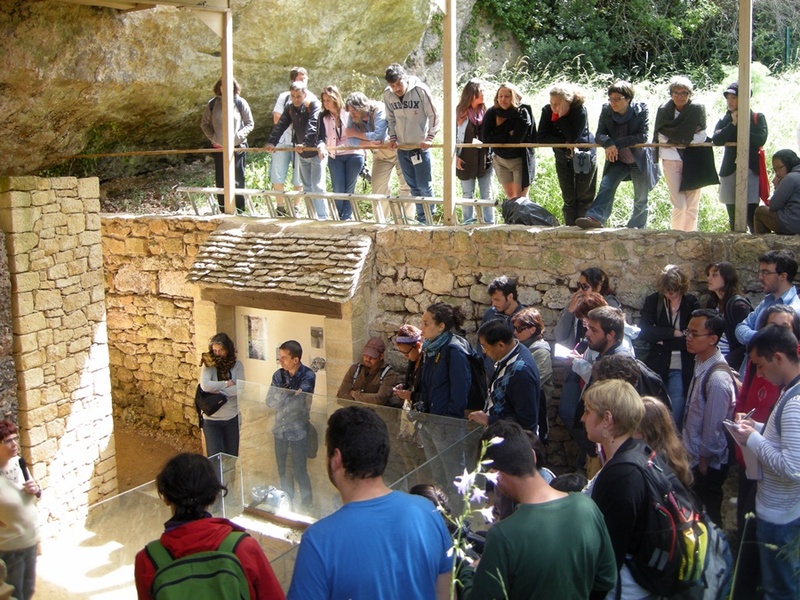 The research projects that IPHES develop in Eurasia, like Atapuerca and Orce in Spain, and Dmanisi in Georgia, there are some of the attractions to receive students, which they see a possibility to participate in very important excavations and analyze very important topics of the human evolution, like the different aspects that explain the first human dispersions, the routes they followed, the species that led them, etc. 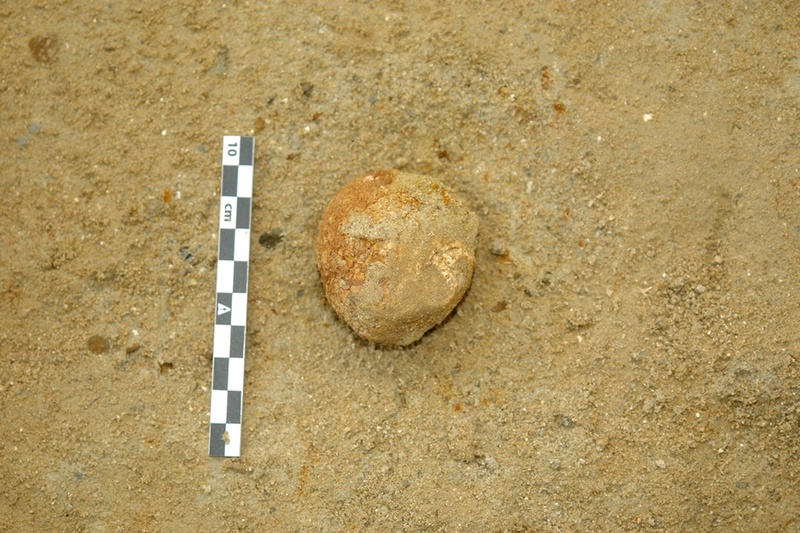 The archaeological excavation season from May 11 until June 5, carried out by a team of IPHES (Institut Català de Paleoecologia Humana i Evolució Social) in the Barranc de la Boella (La Canonja, Tarragona, Spain) has uncovered a latrine coprolites (fossilized feces) of hyena, with a concentration of remains of these features rare in Pleistocene. The study of these fossils will provide information about how was the feeding of these animals and, consequently, what was the environment a million years ago. Palmira Saladié, co-director of the excavation with Josep Vallverdú, both archaeologists from IPHES, said that these kinds of feces “are good traps to capture and retain pollen. They are very good to know how were the landscape and climate of a million years before. “This work will be doing for the palynologist Isabel Expósito and Francesc Burjachs, both also IPHES. At the same site, La Mina, the team has discovered an important lithic industry assemblage very well preserved. 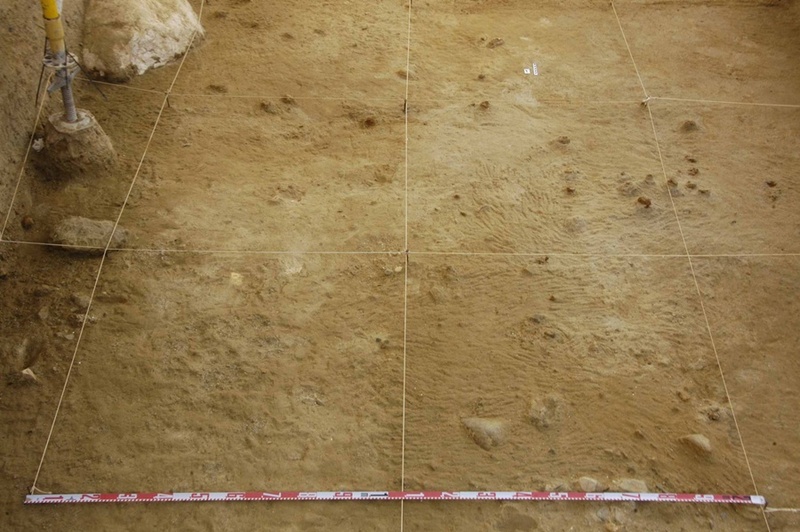 “This will give us a lot of information about the culture of the earliest human populations of Catalonia extending what we knew from previous campaigns”, said Palmira Saladié. Cala 1, the other sites of the Barranc de la Boella team is working on this year, they are taking particular topographical data and preparing the ground for the installation of a protective cover. “It’s an area rich in remains of mammoths and stone knives, however, deepen in the coming years”, said Josep Vallverdú. The works of conditioning are possible thanks to the good relations between IPHES, the owners of the land and the town hall of La Canonja. Gizéh Rangel de Lázaro doctoral dissertation is about the evolution of the cranial vascular system in order to compare modern and extinct hominids under the co-direction of Carlos Lorenzo, professor of Rovira i Virgili and member of IPHES and Emiliano Bruner, researcher group leader of hominid Paleoneurobiology laboratory at CENIEH. The award-winning work deals with the geometry of the precuneus, neural element of the brain, key in the evolution of Homo sapiens. Gizéh Rangel de Lázaro, PhD student of the Erasmus Mundus Doctoral Program in Quaternary and Prehistory at the University Rovira i Virgili (URV), has won the award for best scientific paper co-authored in the 2014 awarded by the Anatomical Society (AS). The text, whose main signatory is Emiliano Bruner, researcher at the Centro Nacional de Investigació sobre Evolución Humana (CENIEH), deals with the geometry of the deep parietal areas of the human brain, specifically in the central part, the precuneus, key in the brain evolution of Homo sapiens. Entitled “Midsagittal MRI brain variation and shape analysis of the precuneus in adult individuals”, the article was published in the Journal of Anatomy, edited by the Anatomical Society. The prize will be awarded soon in a ceremony at the University of Cambridge (England). Since 2013, Gizéh Rangel de Lázaro works with Dr. Emiliano Bruner, researcher group leader of hominid Paleoneurobiology laboratory at CENIEH and Dr. Carlos Lorenzo Merino (IPHES-URV). Both were directors of her master dissertation and now of her doctoral thesis, which is about the morphological analysis and three-dimensional reconstruction of the cranial vascular system through the application of biomedical tools such as computed tomography and digital anatomy. The aim of Gizéh Rangel dissertation is to study the evolution of this system and to compare it with modern humans and extinct species.